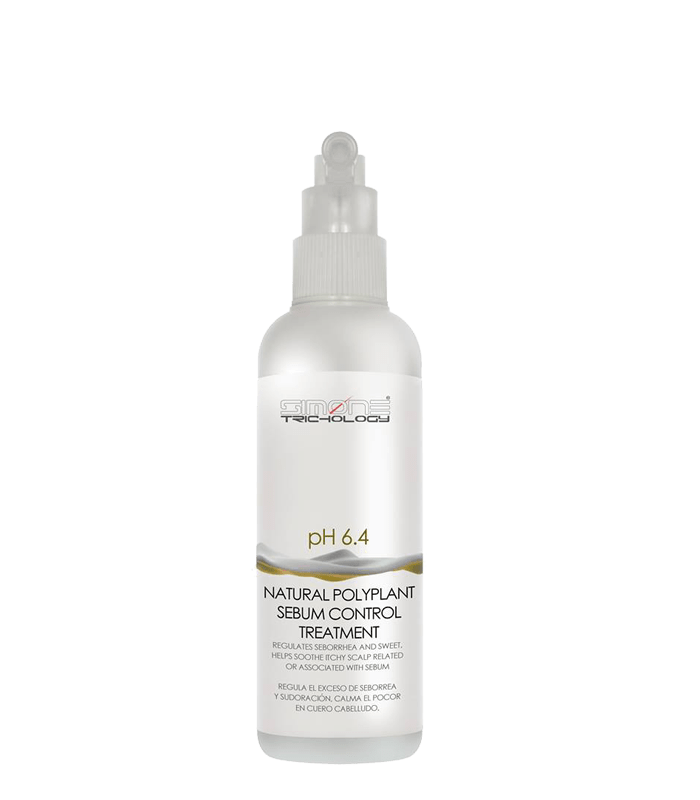 NATURAL SEBUM CONTROL TREATMENT 150ml is the response to the problem of excess of sebaceous secretion (seborrhea or fat) and the greasy dandruff with its symptoms, itching, redness and desquamation. SIMONE TRICHOLOGY NATURAL SEBUM CONTROL TREATMENT 150ml is the response to the problem, more and more frequent, that supposes the excess of sebaceous secretion (seborrhea or fat) and the greasy dandruff (pityriasis steatoides) with its inevitable symptoms, itching, redness and desquamation. SIMONE TRICHOLOGY NATURAL SEBUM CONTROL TREATMENT 150ml is completely natural, totally compatible with any cosmetologic treatment, fast-acting on any capillary problem related to excess of sebaceous secretion, the results are evident within days.